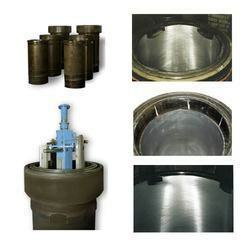 Cylinder liner rehabilitation or deglazing, boring and honing is under taken by us using internationally recognised high quality machine specially designed for diesel engines. Reduce risk of blow – by scuffing and seizure. Rectifies taper ovality scuffing and microseizure. Criss Cross surface pattern can be maintained as per the engine manufacturer recommendation reducing the lub oil consumption. Increases life of cylinder liners and piston rings. Liner sitting area grinding in engine block.